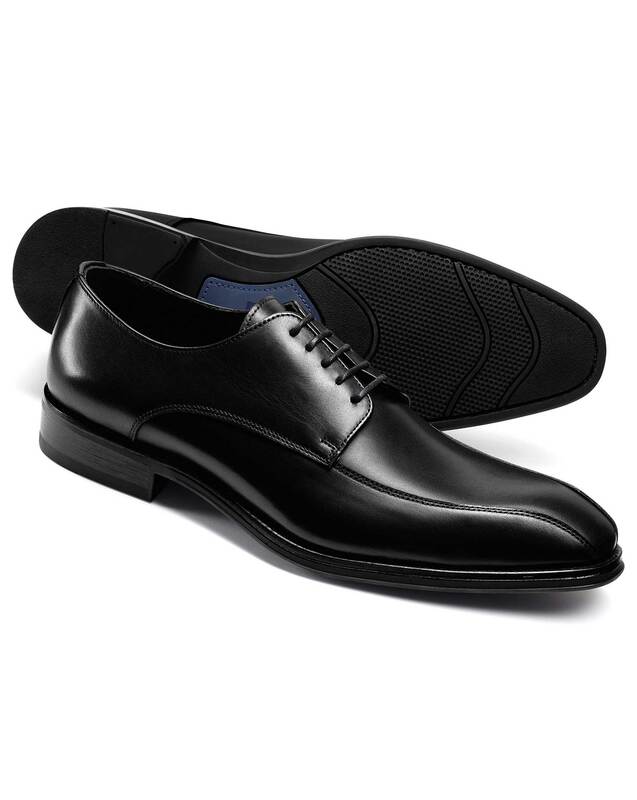 "Classic Derby shoes made with extremely flexible molded-rubber soles for shock absorption and day-long comfort." Response from Charles Tyrwhitt: I am sorry to hear that you have received the incorrect shoe size. We do our best while placing orders to ensure that all details are correct, especially in regards to our shoes due to the differences between UK and US sizes. Our orders will always be shipped with our UK sizing and terminology, however if what you received was different to what you ordered then we can of course arrange a replacement for you. Since you have already sent the incorrect shoes back to us, you will receive notification via email when they are received. In the meantime, please contact Customer Services via phone or email so that we can rectify the error of sizing.